There's a huge mismatch between data generated by quarterly employment survey and payroll data of EPFO. Based on the panel’s proposal, PMO will take a call on how sources of employment data will be processed & published. 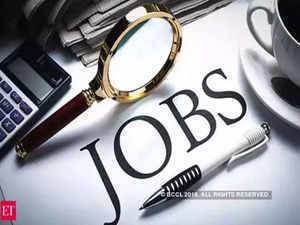 NEW DELHI: A committee on employment data has sought additional six months from the Prime Minister’s Office to submit recommendations on how various sources of jobs data should be compiled and presented. The committee led by former chief statistician of India TCA Anant was to submit its report in July, a month after it was constituted. It is now expected to make its recommendations by end of this year. A senior government official told ET the committee is taking longer than expected because of the huge mismatch between data generated by the quarterly employment survey and the payroll data of the Employees’ Provident Fund Organisation and the Employees’ State Insurance Corporation. Both sets of data are generated by offices under the labour ministry. The PMO had set up the committee under Anant to assess why the payroll data varied so vastly with the labour ministry’s employment survey. Based on the recommendations of the committee, the PMO will take a call on how the various sources of employment data will be processed and published. “The effort is to get a clear picture of job creation in the country, even if it takes longer before a decision is made to continue one of the numbers over others or release them simultaneously,” the official added. The government is of the view that the quarterly employment survey has limitations: the absence of units registered after 2014 because it is based on the sixth economic census (2013-14) and the exclusion of establishments with less than 10 workers. As a result, the survey effectively captures an employment size of 2.4 crore workers against a total workforce of about 47 crore. Even the payroll data may not be a clear reflection of new jobs created because only companies with 20 or more employees come under the provident fund net, which means workers in micro, small and medium enterprises are left out. Recent data from the EPFO indicates that net payrolls generated during September 2017-July 2018 was about 61.8 lakh.